Collibri Foundation is Colruyt Group's company fund with a clear mission: offer vulnerable young people in Belgium and abroad opportunities for a successful future through training, coaching and exchange. Social engagement and entrepreneurship are high on Colruyt Group's list of priorities. To make young people more independent, broaden their horizons and increase their knowledge, Collibri Foundation supports various training projects. Both in Belgium and in economically developing regions, where our training projects are usually also linked with the development of sustainable production chains. We offer the products in these chains through our house brands, including Boni Selection, at the Colruyt Group stores. In developing areas we have been organising training projects on three levels since 2002; we support teachers and young people in general education and work on experience-based vocational education for young farmers. Where possible we combine these initiatives with chain projects for even more impact. You can't start too soon. This is why we support experience-based education at primary schools to increase children's engagement and learning opportunities. Young people at secondary and higher education schools are stimulated through scholarship systems. In addition, we also invest in supporting the teachers, team building and strengthening the network. This is why we organise local or international internships, exchanges between young people and empowerment sessions. In this way we stimulate them to increase their chances on the labour market. Various projects in Indonesia are proof that this approach pays off. Through scholarships, computer classes, internships and school renovations, Collibri Foundation has supported Indonesian young people to continue growing since 2003. 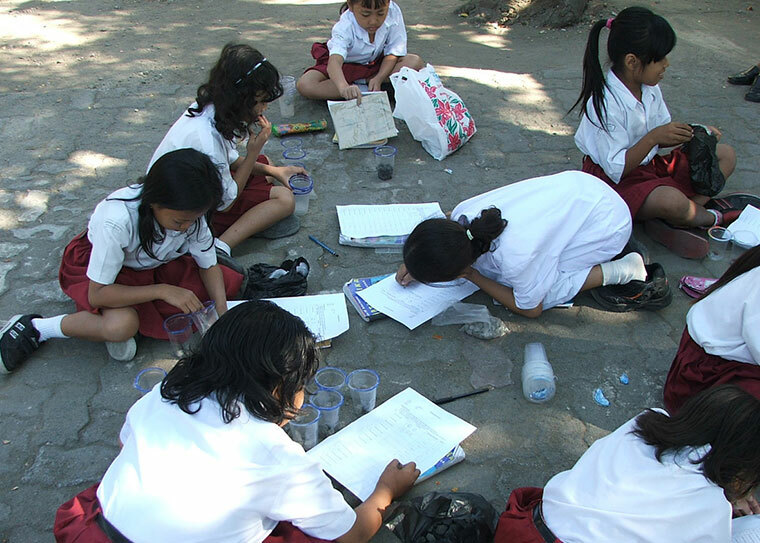 Find out here how we help to provide high-quality education in South-east Asia. 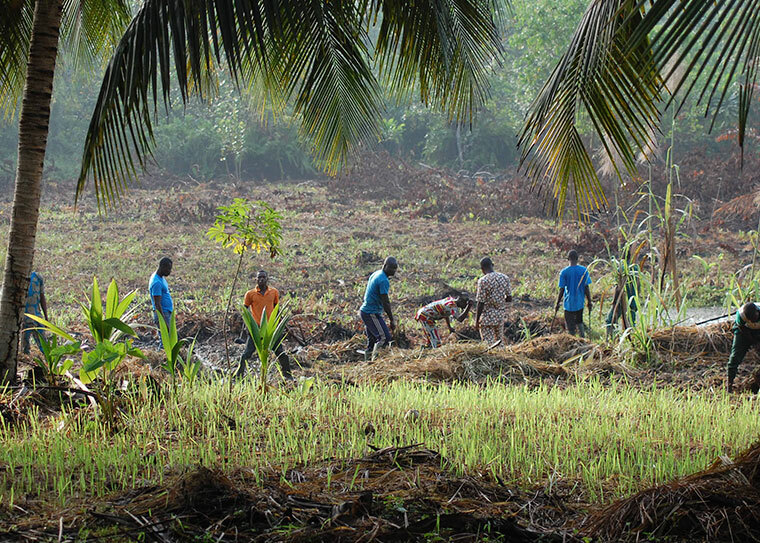 Collibri Foundation supports specialists, NGOs and education centres to train young farmers. Often this concerns underprivileged young people who never went to school for instance. A training course teaches them a concrete job to make a living. This makes agriculture and the food sector in general more interesting for young people. practical language courses (signs on the field, basic literacy projects). e-learning packages for young people at school. practical group courses in the field (so-called farm field schools). support to draw up business plans. training courses to obtain certificates or sustainability labels. 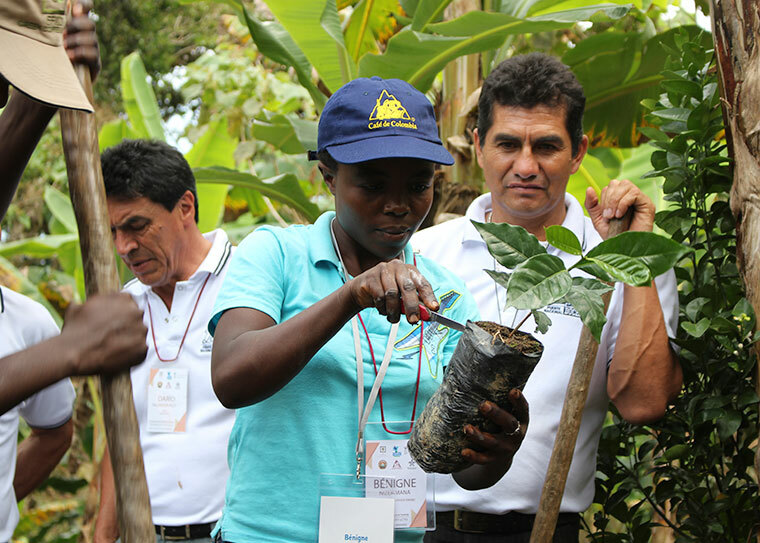 We try to connect as many chain projects to training projects as possible for young farmers. By training young people in a professional agricultural college, for instance, they will be able to become members of the cooperatives in their region more easily in the long term. This creates an enriching interaction. Chain projects result in training projects and vice versa. Everyone profits, starting with the local population. Collibri Foundation organises various projects abroad as well as in Belgium. Belgium also has many young people who can use extra support. That is why from 2014 we decided to also invest in training projects for young people in Belgium. In this way we support Boost, Mentor-Escale and npa YOUCA , who stimulate active citizenship and brings young people from North and South closer together. Collibri Foundation is not alone. Worldwide we are able to count on a broad network of specialists, NGOs, schools, universities and local authorities. Together we set up sustainable partnerships to bring young people all over the world in touch with each other. In this way they not only learn from their teachers but also from each other, across boundaries and cultures. On this website we gladly keep you up to date of these exchanges; the Youca-initiatives, the exchange with Burundian young people, the internships in Benin of students of the UC Leuven-Limburg college of higher education, the internship of Indonesian students, etc. Getting customers, employees and partners on board! 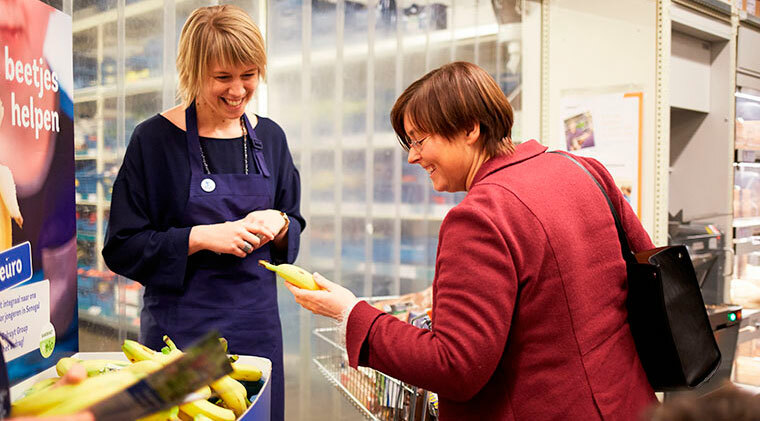 Through training, Collibri Foundation plays a key role in the development of sustainable product chains and making Boni Selection, Colruyt Group's own brand, more sustainable. We want to introduce at least 10 products of sustainable chains in the Colruyt Group stores. This gives customers opportunities to voluntarily choose sustainable products. To put these products in the spotlight more, Colruyt Group and Boni Selection organise customer campaigns a couple of times every year in Colruyt, Okay, Bio-Planet and Spar stores and personnel campaigns. Customers and employees are able to make a voluntary contribution, which Colruyt Group doubles. In all our projects, Colruyt Group employees play a key role. They can become ambassadors of a project. The ambassador gets to know another culture, other habits and traditions, and works closely with the local population. 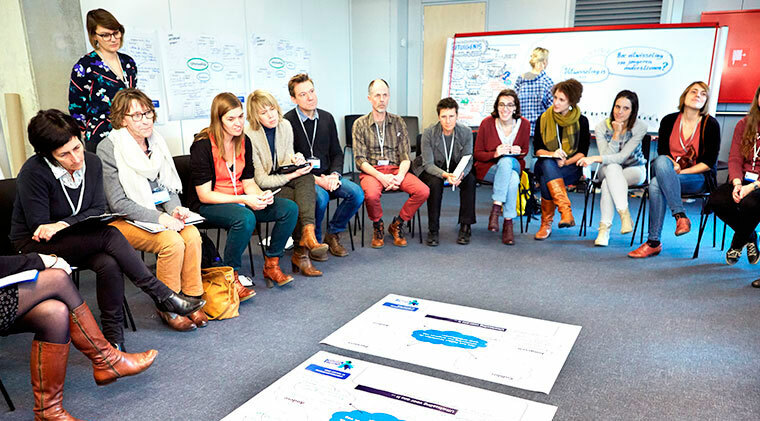 Collibri Foundation works with a broad network of specialists, NGOs, schools, universities and local authorities. We want to bring all the parties in contact with each other, exchange experiences across the projects and work around training courses for young people. Because of this approach we are forming a learning network and can support young people even better. Colruyt Group constantly invests in making its own brand, Boni Selection, more sustainable. Collibri Foundation plays a key role in this ambition. This is why over the next two years an amount of EUR 2.1 million has been earmarked to achieve Collibri Foundation's mission. We also raise funds through personnel and customer campaigns. Colruyt Group shall double the proceeds of the campaigns (up to a maximum amount or EUR 200,000 per year). In 2010 we decided to transfer the operation under the management of the King Baudouin foundation. This allows us to raise more funds and use the expertise and independence of external experts. In addition to financial management, the King Baudouin foundation is responsible for the quality, the follow-up in terms of content and the audit of the files. The Collibri Foundation's executive committee, which also has external representatives, ensures the Collibri Foundation's mission is achieved. with the accompanying message ***193/0380/00072***. Any donation higher than EUR 40 is tax-deductible.